The implementation of the full day kindergarten program dictated the need for eight additional classrooms at Shannon Lake Elementary School. The school was originally slated to receive eight modular classrooms to meet this demand. Working with the School District and a Quantity Surveyor, we were able to determine that the projected enrollment for the catchment area would substantiate the long-term need for these classrooms and that a permanent addition could be completed within the capital budget allocated for the placement of the modular classrooms. The addition was constructed utilizing the wood first initiative in accordance with the Ministry of Education guidelines. Construction consisted of heavy timber framing, wood stud infill, concrete topped steel deck for floor assemblies and exposed tongue and groove wood roof decking. The existing floor and roof heights of the addition were set to match the existing school. 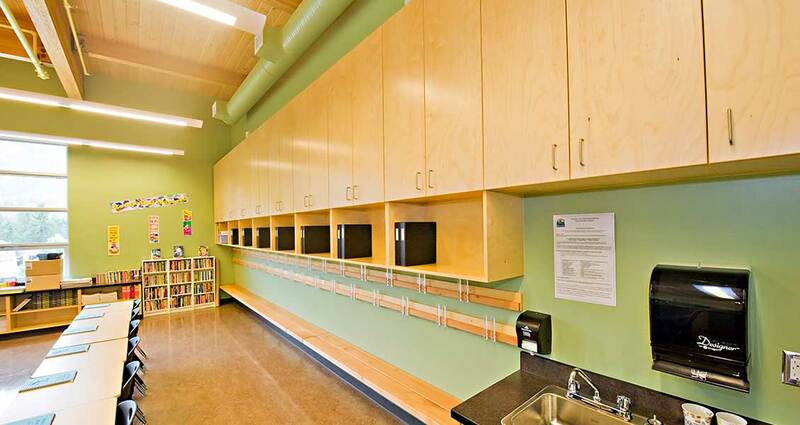 This project was initiated simultaneously with the placement of other modular classrooms throughout School District No. 23 and was completed one month ahead of the modular classrooms installation. 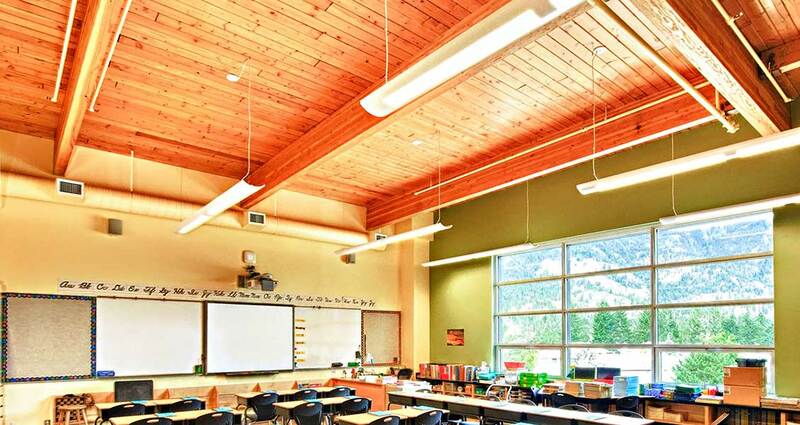 Using heavy timber afforded the opportunity to create inspiring spaces with exposed beams throughout the classroom ceilings. This use of heavy timber also provided the support for large, expansive windows maximizing the natural light. Roof monitors, in the corridor, eliminate the need for lights in the daylight hours. 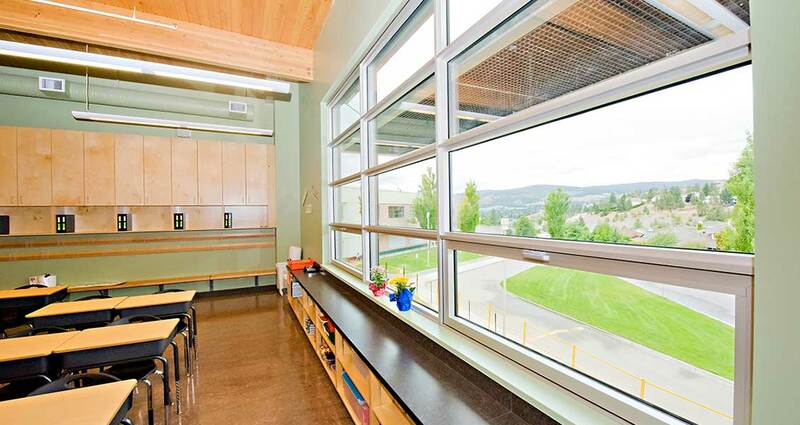 Exposed wood ceilings allow the interior volumes with the classroom and amount of glazing to be maximized. The use of photovoltaic panels on the roof monitors supplement the energy requirements of the school and provide an environmental learning tool for the students.